Have you ever wondered why some crowns appear to have dark lines around the edges or margins? Sometimes these dark lines can appear shortly after the ‘new’ crowns are fitted onto natural teeth. Dental crowns with dark lines are not the most aesthetic solution for highly aesthetic natural looking teeth. So, what causes dark/black lines on dental crowns? 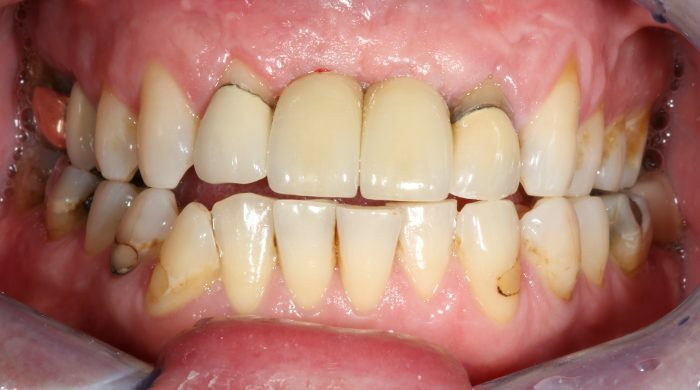 The major cause of this discoloration is usually the material making up the crown. Traditionally crowns were mainly made of porcelain fused to a metal (also abbreviated PFM). These PFM crowns are made by embedding two materials together, i.e. bonding a metal and porcelain with the aim being that metal strengthens the porcelain for being able to function in the mouth. Although it is a great way of producing a super strong crown, the metal is not tooth coloured. PFM crowns are therefore not very aesthetic. Unlike natural teeth these crowns are sometimes greyish in colour and look artificial or fake. Porcelain fused to metal crowns are metal shells covered with porcelain in order to create a tooth coloured crown. This being the case, the black line is usually as a result of the metal crown/shell. It occurs when the gums recede causing the metal to reflect through the tooth surface. Additionally, due to the underlying metal, light does not pass through the PFM crown like it would in a natural tooth. Natural light passes through a natural tooth, the enamel & dentine. However, with PFM crowns, the gums do not receive sufficient light as with the latter. This ultimately results in darker gums around the crown. Another, though not very common factor that can cause dark lines is decay. It is important to realise that even though your tooth has a crown; it is not impervious to decay. 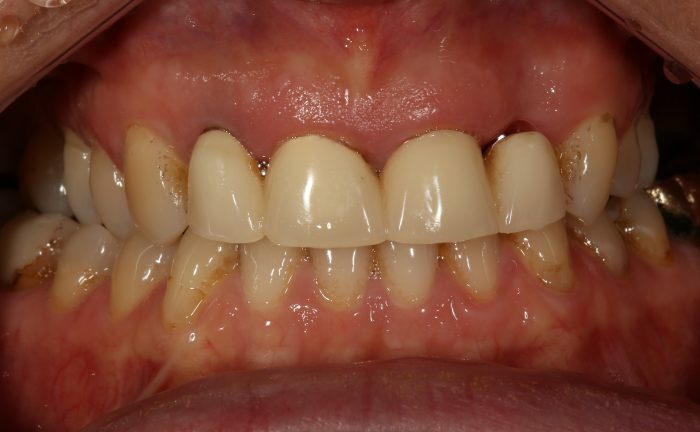 What is the remedy to black/dark lines around your dental crown? Fortunately there are newer more advanced materials available for dental crowns. At Brighton Implant Clinic we do not provide metal fused to porcelain crowns. We only provide high strength metal free crowns, either pressed ceramics like Ivoclar Emax or Zirconia. The main advantage of using metal free crowns is that the dark crown lines will never occur. Some metal free crowns are not strong enough. They are hence subject to fractures if exposed to high forces and stresses. In our clinic we use Ivoclar Emax pressed ceramic. It is one of the strongest metal free crown options. 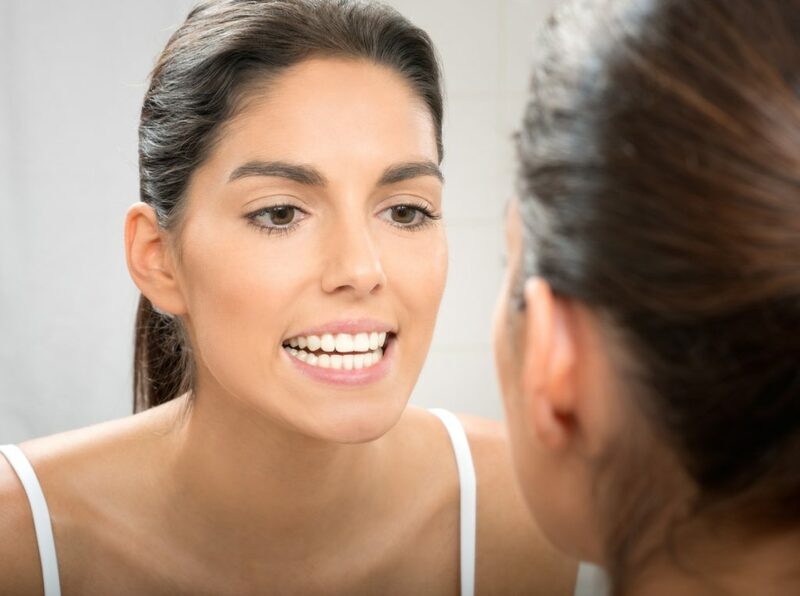 If you would like to find out more information about metal free crowns, please contact our clinic for a free no obligation assessment with one of our experienced dentists.